Dear Readers, I hope you are having a fantastic Cider Sunday! I am currently in Melbourne for my first ever Australian Open experience. I have said that I will go every year for the last 10-15 years and yet this is the first time I am visiting. My dear friend Laura has accompanied me on this trip and we are having a great girls weekend away. 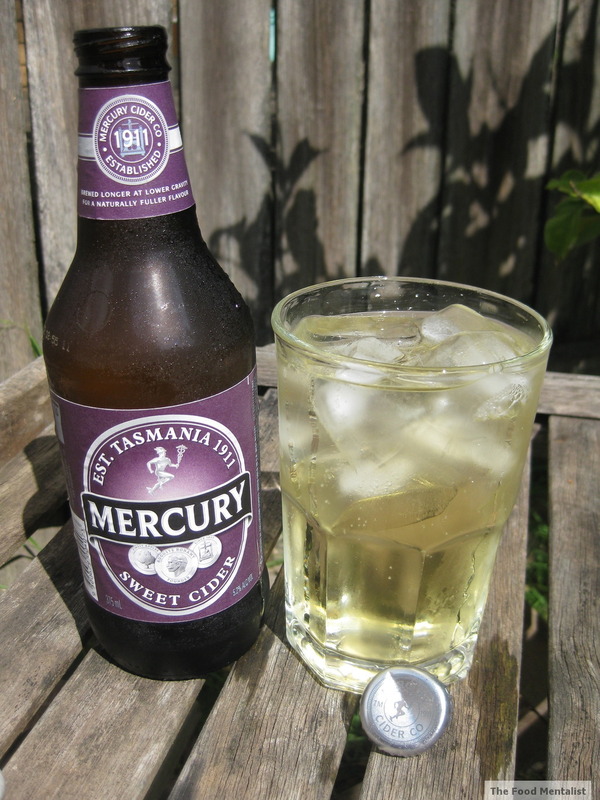 This week's cider is another from Tasmania - Mercury Sweet Cider. Mercury cider comes in a few varieties Draught, Dry & Sweet. So of course I chose their sweet variety for this week's review. 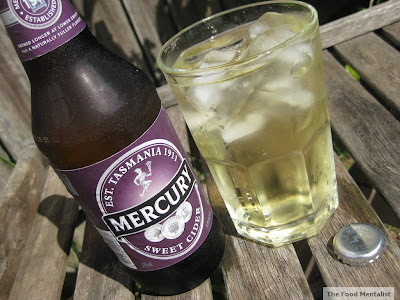 I quite like this cider, it is brewed by the Foster's Group who are also responsible for Bulmers and Strongbow ciders. This one is light pale in colour and is only slightly effervescent. 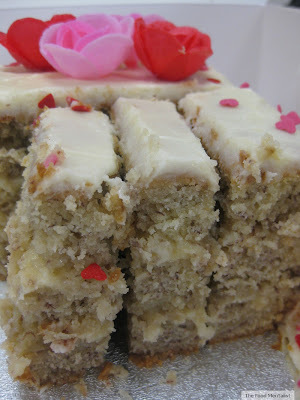 It has a nice overall sweet flavour and will pair really well with fruit or your favourite dessert or sweet. It does however contain preservative 223, unlike last week's Tasmanian cider. However, this is pretty much standard these days and most ciders on the market contain a similar type of preservative. This one is a great all rounder, it stands up fairly well against the majority of ciders out there and does particularly well for an Australian cider. It's also very well priced - Love that! At 5.2 % alcohol a 375ml bottle will provide you with 1.5 standard drinks. Available at the majority of bottle shops. Tell me, how often do you buy ciders? Do you tend to stick to the Aussie brands or do you prefer the overseas varieties? Have you been watching the Australian Open? I've never been to the Open but I have had this cider before. I do watch the tennis on tv but it's not the same as being there. Erin I have a cider everyday because of your blogs! not often better product than beer tastes better too.